Emergency situations are unpredictable and costly – disrupting the normal business process and compromising employee safety. With offices across the United States and Canada, our emergency response teams can be there fast, limit injuries, and keep damage to a minimum. 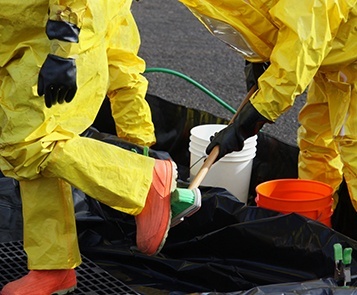 If you want to take the worry out of handling hazardous waste and spill cleanups, you’ll need a team of experts you feel comfortable with. Accidents happen. Call us today. Emergency situations are unpredictable, but these guidelines help you manage a crisis while awaiting your emergency response team.